The Surface Headphones look good, but can they command their premium price tag, and how do they stack up against their wireless on-ear competitors? We put the US$349.99/£329.99 Surface Headphones to the test in this hands-on review. The Surface brand continues to sell well for Microsoft even as its other products like the Edge Browser and Xbox struggle with problems. It is perhaps unsurprising that the company is releasing Surface-branded accessories to capitalise on the brands success. Enter the Surface Headphones, which Microsoft announced at its Surface event last October. We now have got our hands on a pair and are here to give our thoughts on their design, functionality, and perhaps most importantly, their sound. Microsoft has entered the wireless noise cancelling headphone market late, with Apple, Bose and Sony already being established players. Apple has its Beats line and its AirPods, while Bose has its seemingly omnipotent QuietComfort range. Sony is a relative newcomer to the market but is already on the third generation of its WH-1000X series, although the company originally marketed the headphones under its MDR branding. 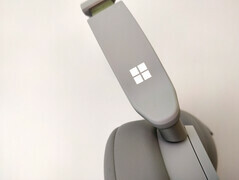 Now Microsoft is looking for a slice of the wireless noise cancelling headphone market with its Surface Headphones, but how do they set themselves apart in an already highly competitive market? 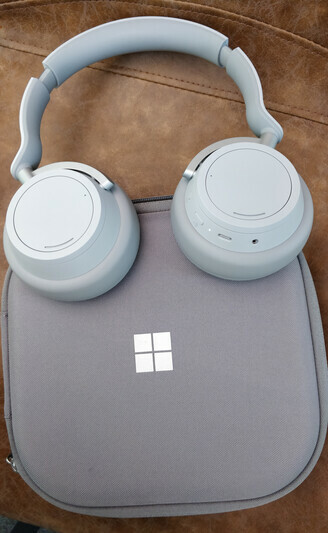 Well, Microsoft has designed the Surface Headphones with two rotatable dials on the left and right earcups, while its competitors rely on buttons or touchpads in the case of the Sony WH1000X series. The left dial controls the degree of active noise cancelling and the right controls volume. Microsoft promises 13 levels of noise cancelling, which are 7 fewer than what the WH-1000X series offers. There are also touchpads integrated within both earcups for controlling music playback, activating Cortana or for in-call controls. By contrast, the Bose achieves this functionality with buttons, while the Sony WH-1000X series has one touchpad that incorporates all controls. The Surface Headphones will also pause music and mute the built-in microphone if you take them off, which the Sony’s do not do. In short, Microsoft has tried to develop a headset that can be used seamlessly for work and play. We tried out the Surface Headphones at an event in Munich. While the headphones are price competitive with the Bose QC35 II and around 10% more expensive than the Sony WH-1000XM3, the case that the Surface Headphones come with is bulky and looks rather conservative in our opinion. It is robust and has a mesh pocket inside for accessories, it looks cheap and is considerably bulkier than the cases that come with its Bose and Sony competitors. The Surface Headphones weigh 290 g, which makes them 50 g heavier than the Bose QC35 II and 35 g heavier than the Sony WH-1000XM3. Nonetheless, the Surface Headphones feel pleasantly light, and its mostly plastic design helps them feel comfortable when worn. The aluminium headband should make them sturdy too. The headphones are currently only available in Surface Gray, and the product managers at the event would say anything about whether Microsoft plans on releasing the Surface Headphones in other colours. However, they did refer to other Surface devices, which are now also available in other colours and mentioned that most headphones are black, which helps the Surface Headphones stand out. In short, we would not yet rule out Microsoft releasing the headphones in other colours at some point. It is worth noting that Microsoft advertises the Surface Headphones as having Cortana integration only on its English language websites and not in other languages like German. Moreover, the company failed to mention the smart assistant integration at its product event. So, the Surface Headphones appear to be just standard wireless noise cancelling headphones in non-English speaking markets at present. The lack of Cortana integration is disappointing as the digital assistant is currently available in Chinese, French, German, Italian, Japanese, Portuguese and Spanish markets. We would recommend trying the Surface Headphones out before you buy them if you have a small head, as the adjustable headband felt too loose on our head even at the tightest setting. The bar is easy to adjust though and remained at its selected size during our time with the headphones. 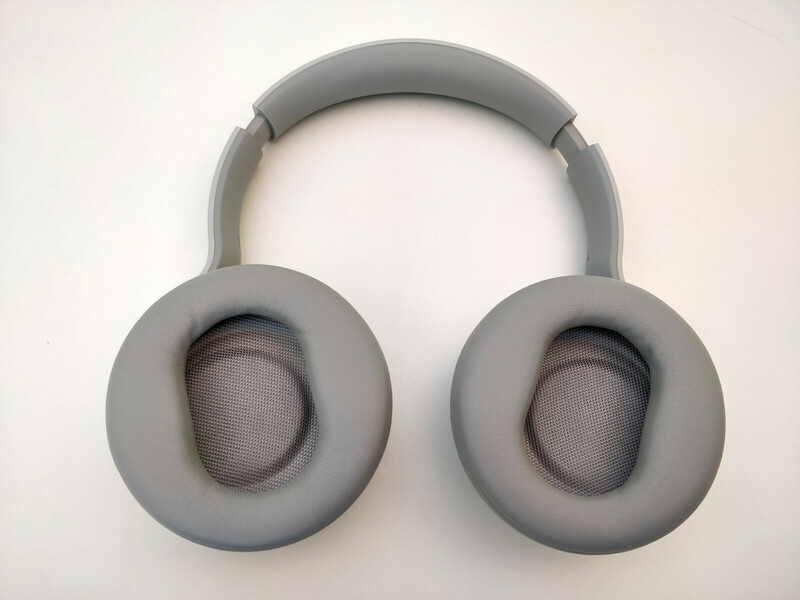 The memory foam earpads also felt pleasant, and the Surface Headphones did not press tightly on our head, so it looks like Microsoft has found a good balance between a tight fit and comfort. We tested Bluetooth connectivity with our smartphone, which paired and connected quickly. The noise cancelling worked well too, but background noises seemed to get louder once we had connected our smartphone. Adjusting the noise cancelling with the left earcup rectified this though. Both dials also felt premium and are intuitive. The touchpad worked reliably during our time with the Surface Headphones as did the automatic pausing functionality too. Inputs are recognised promptly and accurately trigger the desired function like pausing music or skipping a track. Microsoft has also included a dedicated mute button on the headphones should you the device not automatically mute when you remove it from your head. The Surface Headphones should last 15 hours on a single charge and will recharge fully in two hours, according to Microsoft. Unfortunately, we were unable to verify these claims, but the headphones will still work when out of battery if you connect them to a device via the 3.5 mm jack. The USB Type-C port is only for charging though, but then none of its competitors can output audio via Type-C either. While this may frustrate some who’s smartphone only has a Type-C port, the Surface Headphones should last a few days on a single charge. 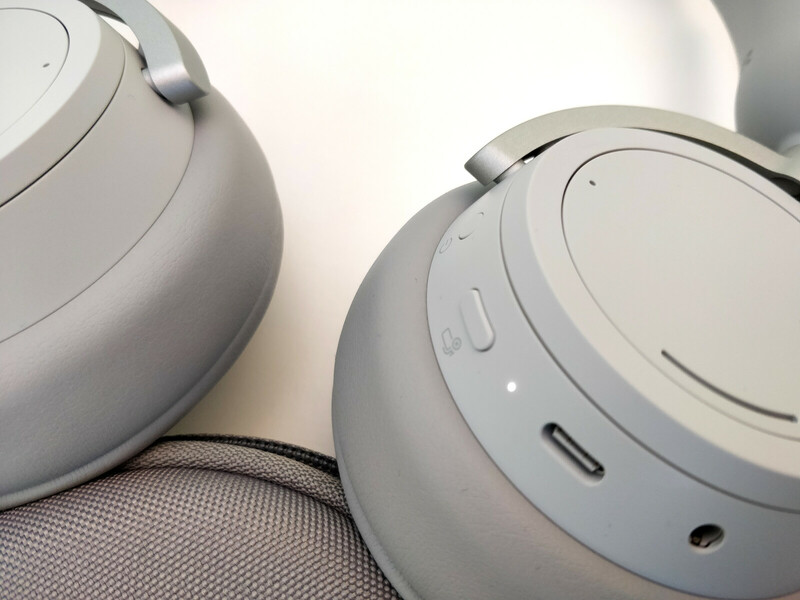 By contrast, the Sony WH-1000XM3 reportedly has 30 hours battery life, while the QC35 II can last 5 hours longer between charges than the Surface Headphones. We also subjected the Surface Headphones to a few tests on audiocheck.net and listened to some music along with some videos. The headphones performed well in audiocheck.net tests, with everything sounding as it should have done, while and the audible frequency range is impressive. Likewise, songs and film audio sound warm, detailed and are outputted with no distortion. The Surface Headphones functioned well during calls too and captured our voice clearly with no background noise. However, we had to speak quite loudly for the microphone to pick out our voice from the loud background noise in which we tested the Surface Headphones. Hence, you may struggle to make calls or receive calls in a noisy environment if you have a softly spoken voice. 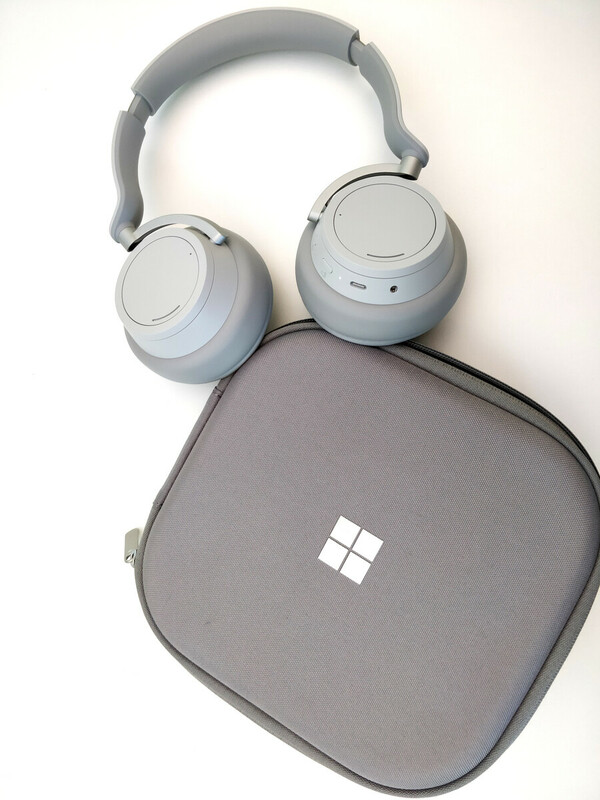 The Microsoft Surface Headphones are an intuitive, practical and decent pair of active noise cancelling wireless headphones that deliver clear-sounding audio. The rotary controls for volume and noise cancelling are rather novel and help set the headphones out from a competitive market. The inclusion of a Type-C port is good too and is not something that all its competitors have. We wish that Microsoft had included Type-C audio out as it would have made the Surface Headphones more flexible for Type-C only smartphones if you run out of battery. The headphones are primarily designed for use as wireless headphones though and it is something that they do well. They connected to our smartphone seamlessly and should last a few days use, even if the battery life is worse than the Bose and Sony competition. The microphone performs poorly in noisy environments though, to the extent that you may resort to making and receiving calls with your smartphone rather than with the headphones. It also feels like a misstep for the Cortana integration to only work in English speaking countries, particularly as Microsoft boasts that the digital assistant can speak other languages too. US$349.99/£329.99 is pricey and is considerably more expensive than the Apple AirPods. 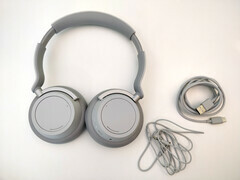 The Surface Headphones are price competitive with the Bose QC35 II and the Sony WH-1000XM3, which are Microsoft's main competitors in the active noise cancelling market. The Surface Headphones feel well made too, but they do not offer any special features or better sound quality than their more established competitors. 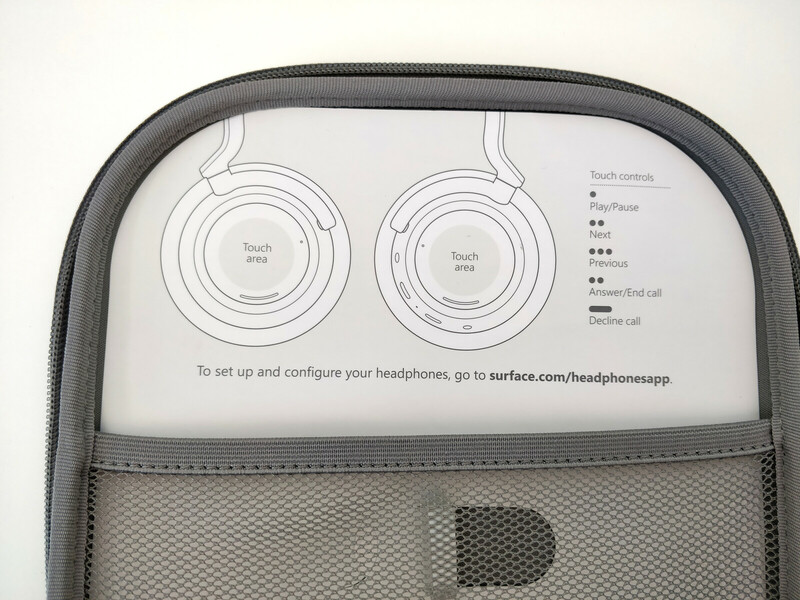 Ultimately, the Surface Headphones are suited for those who appreciate the minimalist design, the intuitive controls and the Cortana integration. However, its main competitors have dedicated apps for added customisation and much better battery life, so the Surface Headphones may be a tough sell for those who are on the fence about which noise-cancelling headphones to buy. In short, the Surface Headphones do not disappoint, and they are a great first effort by Microsoft, but they will not usurp its established competition. Microsoft includes a quick start guide and an accessories pouch in the carry case. The company includes a 3.5 mm cable and a USB Type-C cable too. The Type-C port is only for charging though. 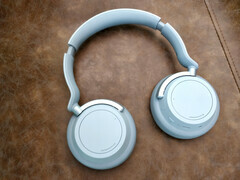 The headphones are well made and have a premium finish. The headband will be too large for those with small heads even at its tightest adjustment. The Surface Headphones are only available in grey at the time of writing.